Draft: 2007, Washington Nationals, CAth rd. Joshua M. Smoker...Wife's name is Nicole...Is a 2007 graduate of Calhoun (GA) High School, where he was named the Gatorade Player-of-the-Year in Georgia his senior year... Was 13-0 with a 1.24 ERA as a senior to help Calhoun win the Georgia 2A State Championship...Rated as the 11th-best pitching prospect in the 2007 First-Year Player Draft...Participated in the Aflac All-American game following his junior year...Committed to Clemson before signing with Washington...Was a race car driver before concentrating fully on baseball...His father, Mike, makes cars and parts for Midget racing; he has made cars for sons of NASCAR legends Mark Martin and Bobby Labonte. Traded to the Pittsburgh Pirates on January 31 and made seven appearances and pitched 5.1 innings in the Major Leagues... Played in 32 games for the Triple-A Indianapolis Indians in the Pirates' organization where he earned a 2.83 ERA (11ER/35.0 IP) with a 3-1 record and 39 strikeouts against 12 walks...Claimed off waivers by the Detroit Tigers and optioned to the Triple-A Toledo Mud Hens on July 28...Appeared in 10 games for the Mud Hens with an 0-1 record and 11 strikeouts against four walks...Made one appearance in the Major Leagues for the Tigers on August 26 pitching 1.2 innings of shutout baseball in a 7-2 loss for the Tigers against the White Sox. Spent majority of season with the Mets and set Major League career highs in every category...Averaged 10.86 strikeouts per 9.0ip...Was a member of a big league Opening Day roster for the first time in his career and was scored upon once in his first seven games thru 4/18...Suffered his first Major League loss on 4/21 vs. Washington...Gave up a season-high six runs, including two homers, in 1.0ip on 4/30 at Washington... Was optioned to Triple-A Las Vegas on 5/9 and made two starts for the 51's on 5/13 and 5/18...His start on 5/13 vs. Omaha (4.2ip/0r) was his first since pitching with Hagerstown in 2010... Was recalled on 5/23...Tossed 3.0 scoreless frames on 5/30 vs. Milwaukee and picked up his lone win with the Mets...Pitched a career-high 4.0 innings on 6/13 vs. Chicago (NL) and went 0-for-2 at the plate...Was placed on the 10-day disabled list on 6/14 with a left shoulder strain...Made four rehab appearances with Class-A St. Lucie and one with Double-A Binghamton before being reinstated from the D.L. on 7/20...His outing with Binghamton came on 7/18 and was the completion of a suspended game from 5/13 (the same date on which he officially pitched 4.2 innings with St. Lucie)...Posted a 2.63 ERA (27.1ip/8er) and 32 strikeouts in 32 appearances after returning from his stint on the D.L....Was charged with just two earned runs in his final 18.2 innings of work (0.96 ERA), dating back to 8/11...Pitched a career-best 8.0 consecutive scoreless innings between 8/24 and 9/10. Was recalled from Las Vegas (AAA) of the Pacific Coast League on August 19...Earned his first major league win on August 29 vs. Miami...Also picked up victories on September 6 at Cincinnati and September 23 vs. Philadelphia...Was unscored upon in 14 of his final 16 games... Stranded 10 of 12 inherited runners...Racked up 25 strikeouts in 15.1 innings (14.68 strikeouts per nine innings)...Righthanded batters went 7-35 (.200) and lefthanders were 9-25 (.360)...Made his major league debut on August 19 at San Francisco...Then worked 0.2 scoreless innings on Aug. 20 at San Francisco...Went 3-2 with three saves, a 4.11 ERA (26 earned runs/57.0 innings) and 81 strikeouts with the 51s. Had his contract purchased by the Mets organization from the Rockford Aviators of the Independent Frontier League on April 2... Pitched for three Mets affiliates during the year, Savannah (A) of the South Atlantic League, St. Lucie (A) of the Florida State League and Binghamton (AA) of the Eastern League... Joined Savannah from extended Spring Training on April 25...Was promoted to St. Lucie on May 15 and joined Binghamton on July 4... In 41 combined games, he was 3-0 with six saves and a 3.12 ERA…In 49.0 innings, he allowed 39 hits, 19 runs (17 earned), with 19 walks and 60 strikeouts....Went a season-high 2.0 innings seven times. 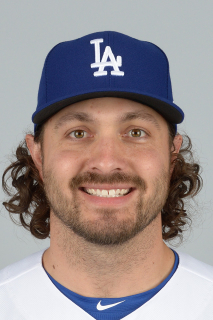 February 11, 2019 LHP Josh Smoker assigned to Oklahoma City Dodgers. October 8, 2018 Los Angeles Dodgers signed free agent LHP Josh Smoker to a minor league contract and invited him to spring training. September 7, 2018 Detroit Tigers released LHP Josh Smoker. August 31, 2018 Detroit Tigers optioned LHP Josh Smoker to Toledo Mud Hens. August 26, 2018 Detroit Tigers recalled Josh Smoker from Toledo Mud Hens. July 28, 2018 Detroit Tigers claimed LHP Josh Smoker off waivers from Pittsburgh Pirates. July 28, 2018 Detroit Tigers optioned LHP Josh Smoker to Toledo Mud Hens. July 23, 2018 Pittsburgh Pirates designated LHP Josh Smoker for assignment. July 7, 2018 Pittsburgh Pirates optioned LHP Josh Smoker to Indianapolis Indians. July 4, 2018 Pittsburgh Pirates recalled Josh Smoker from Indianapolis Indians. April 13, 2018 Pittsburgh Pirates optioned LHP Josh Smoker to Indianapolis Indians. January 31, 2018 Pittsburgh Pirates traded cash and LHP Daniel Zamora to New York Mets for LHP Josh Smoker. January 26, 2018 New York Mets designated LHP Josh Smoker for assignment. July 20, 2017 New York Mets activated LHP Josh Smoker from the 10-day disabled list. July 17, 2017 New York Mets sent LHP Josh Smoker on a rehab assignment to Binghamton Rumble Ponies. July 6, 2017 New York Mets sent LHP Josh Smoker on a rehab assignment to St. Lucie Mets. June 14, 2017 New York Mets placed LHP Josh Smoker on the 10-day disabled list. Left shoulder strain. May 23, 2017 New York Mets recalled LHP Josh Smoker from Las Vegas 51s. May 13, 2017 New York Mets sent LHP Josh Smoker on a rehab assignment to Binghamton Rumble Ponies. May 9, 2017 New York Mets optioned LHP Josh Smoker to Las Vegas 51s. March 30, 2017 LHP Josh Smoker assigned to Las Vegas 51s. October 6, 2016 New York Mets activated LHP Josh Smoker. October 5, 2016 New York Mets reassigned LHP Josh Smoker to the minor leagues. August 19, 2016 New York Mets recalled LHP Josh Smoker from Las Vegas 51s. July 27, 2016 New York Mets optioned LHP Josh Smoker to Las Vegas 51s. July 26, 2016 New York Mets recalled Josh Smoker from Las Vegas 51s. April 3, 2016 LHP Josh Smoker assigned to Las Vegas 51s from Binghamton Mets. March 15, 2016 New York Mets optioned LHP Josh Smoker to Binghamton Mets. November 5, 2015 New York Mets selected the contract of Josh Smoker from Binghamton Mets. July 4, 2015 LHP Josh Smoker assigned to Binghamton Mets from St. Lucie Mets. May 15, 2015 LHP Josh Smoker assigned to St. Lucie Mets from Savannah Sand Gnats. April 2, 2015 New York Mets signed free agent LHP Josh Smoker to a minor league contract. November 4, 2013 LHP Josh Smoker elected free agency. September 16, 2013 Potomac Nationals activated LHP Josh Smoker from the 7-day disabled list. March 30, 2013 LHP Josh Smoker assigned to Potomac Nationals from Hagerstown Suns. September 15, 2012 Josh Smoker roster status changed by Hagerstown Suns. July 3, 2012 Hagerstown Suns placed LHP Josh Smoker on the 7-day disabled list retroactive to July 1, 2012. June 24, 2012 LHP Josh Smoker assigned to Hagerstown Suns from Potomac Nationals. June 18, 2012 sent LHP Josh Smoker on a rehab assignment to GCL Nationals. April 17, 2012 Josh Smoker roster status changed by Potomac Nationals. April 4, 2011 LHP Josh Smoker assigned to Potomac Nationals from Hagerstown Suns. May 21, 2010 Josh Smoker roster status changed by Hagerstown Suns. May 7, 2010 Hagerstown Suns placed LHP Josh Smoker on the 7-day disabled list. April 7, 2010 LHP Josh Smoker assigned to Hagerstown Suns from GCL Nationals. August 14, 2007 Washington Nationals signed LHP Josh Smoker.